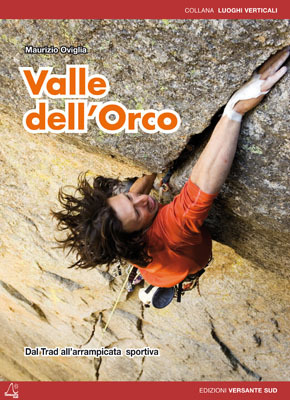 From Trad to sport climbing in Orco Valley. 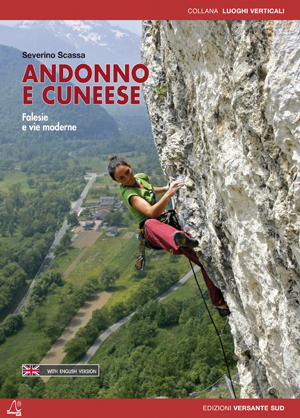 This guidebook describes the walls of Valle dell’Orco, from its crags to the legendary walls of Sergent and Caporal, ending with Colle del Nivolet. The many routes opened over the past few years and the increase in visits to the valley, especially by foreigners, convinced the author to write a book which is not a simple guide with grades and names of routes, but also the source of inspiration for new generations. 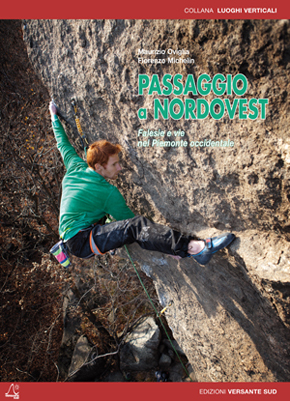 This book suggests a path to follow, a possible direction for climbing without forgetting the past. Maurizio Oviglia with his customary precision and clarity has listed all the old and new itineraries of the valley, after repeating almost all of them and verifying their grade. Maurizio Oviglia, born in Turin in 1963 but Sardinian by adoption, is one of the best known and appreciated alpinists and writers of climbing guides in Europe. He boasts over thirty years of activity on rock world-wide as alpinist, explorer and route opener. He has written many guide books and articles, and manages and collaborates on various web sites. He has successfully published for Versante Sud ‘Rock Paradise’, ‘Passaggio a Nord-Ovest’ and ‘Arrampicate sportive in Corsica’.